Every teacher wants to decorate their classroom. After all, it’s the space where they spend the majority of their day. Fun décor engages students and makes them excited to be in school and learn. It also gives teachers a break from the monotone cinderblock white walls, gray carpet, and bland drop ceilings often found in public schools. A quick search on Google Images or Pinterest reveals plenty of classroom décor ideas…for elementary school teachers. For middle and high school classrooms, the results are sparse. Many secondary teachers feel they must choose between decorations that are juvenile or decorations that are boring. But there is a third option! We’ve scoured the internet for creative classroom décor that is appropriate for grades 6 -12. Below are our 8 favorite ideas for secondary classroom décor. 1. Don’t watch the clock, solve it! 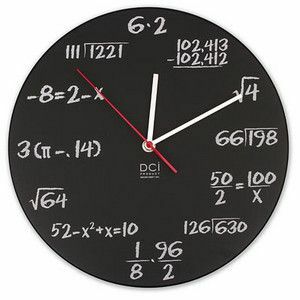 Perfect for math classrooms, students will have to solve equations to get the time. Etsy is a great resource for affordable classroom décor that’s mature and school appropriate. 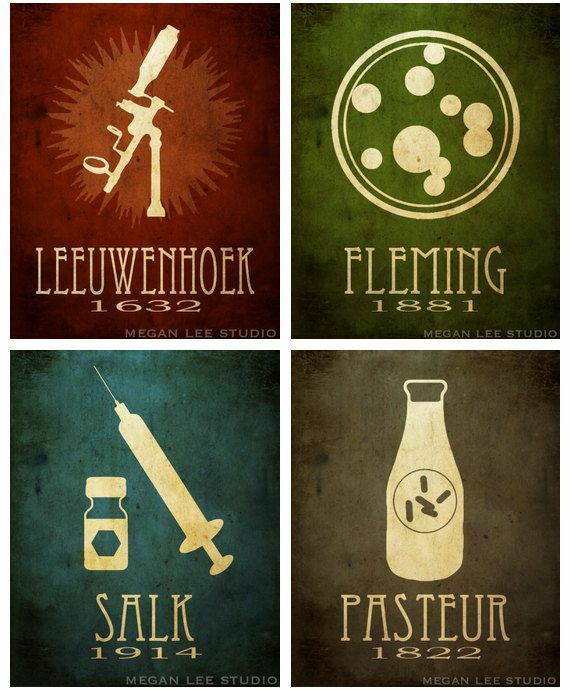 These posters could easily be found in the apartment of an adult chemist or in a high school biology class. Memes are incredibly popular among middle and high school students. Take it one step further by using memes that relate to your subject matter. 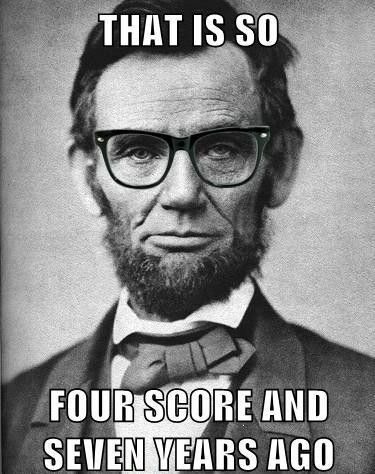 Historical memes, scientific memes, math memes, and even classroom rules memes will give your students (and fellow teachers) a good laugh. 4. Oh Captain! My Captain! Hang this poster on the wall and your students will pick up some advanced vocab words when their focus wonders. Take inspiration from the teachers of Biloxi Junior High in Mississippi. 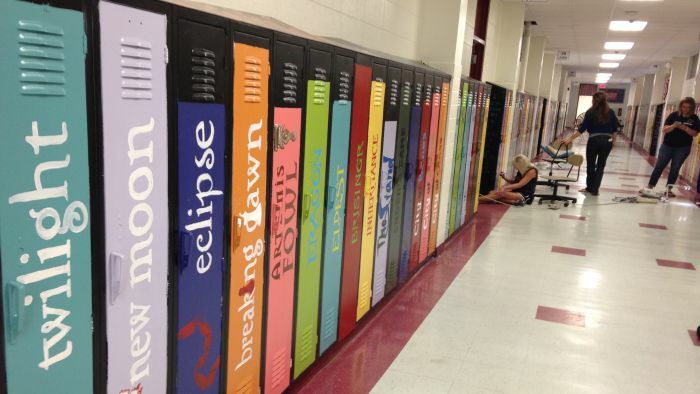 They spent their summer painting old, unused lockers, transforming them into the spines of classic books. Don’t have lockers at your disposal? You can do something similar with a cabinet, dresser, or on a bulletin board. 6. Stick it to them! Thanks to Etsy, custom stickers and decals are relatively inexpensive. 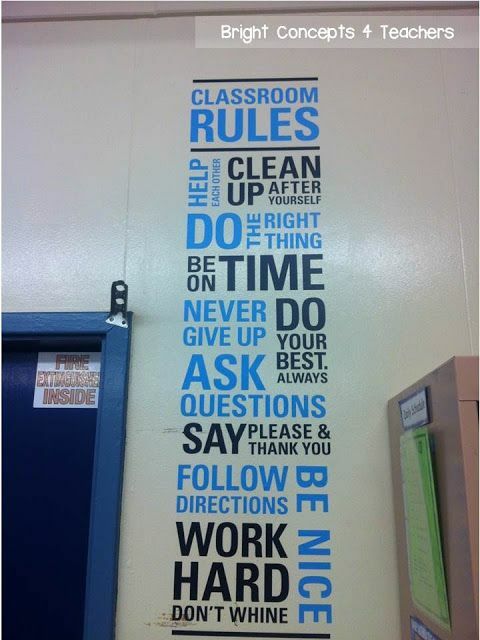 Have a decal made with your classroom rules, formulas, or quotes related to your subject area. They’ll hold up better than bulletin boards and can be stuck anywhere. 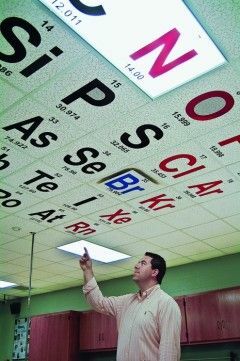 Have a drop ceiling in your classroom? 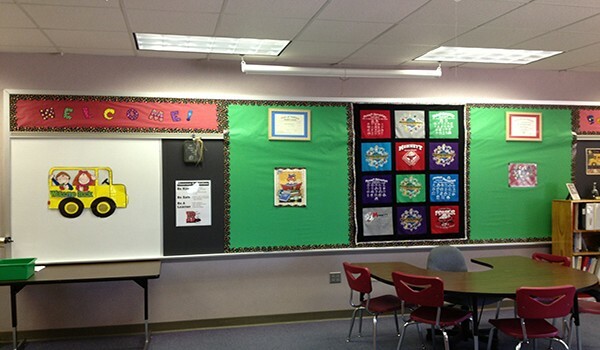 Decorate ceiling tiles or give your students an assignment requiring them to decorate ceiling tiles. Inspirational quotes, the periodic table, book covers, and constellations are a few ways to add color to your class in an unexpected way. Middle and high school students communicate with each other daily through Tweets, posts, Snaps, and pins. 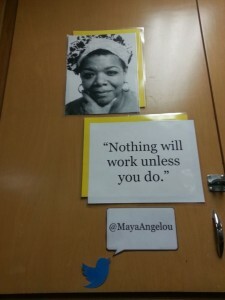 Give your classroom a social media theme, incorporating famous quotes and historical events in a “social” format. For more ideas, visit our Classroom Décor board on Pinterest or view below. Follow The American Board’s board Classroom Decor on Pinterest. Rachael is the Online Marketing Specialist for the American Board. She enjoys blogging, social media, and DIY. Next PostThe American Board, Now in Arkansas!